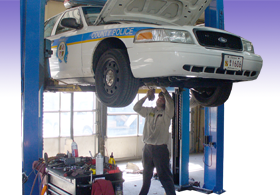 If you suspect a problem with your car or truck transmission, give us a call or stop in. We will tell you exactly what the problem is and what the repair would involve. There is neither a charge for the diagnostics nor pressure for you to make a hasty decision. 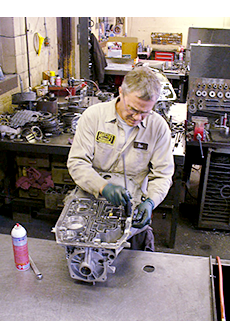 Whitcraft Transmission was founded in 1969 by Craig Whitcraft. Since its inception, the shop has expanded in size and services to accommodate the growing needs of the community. Whitcraft is now owned by Harry Diehl, a former employee. Harry has worked at Whitcraft for more than 30 years. He began at the bottom, worked his way up through the ranks, and now runs the business. He's learned everything about the business from A to Z. At Whitcraft, we continue to uphold the Whitcraft name and respected reputation by offering only superb service by expert technicians who regularly attend seminars to stay up-to-date on the latest developments in the field. Contact us today for a quote, and see why we're known for the best prices around. We stand behind all estimates. We never recommend a service you don't need or charge a penny more than what you're quoted. We're an honest shop, and we look forward to proving why you can trust your vehicle to us. Our prices are the lowest you will find. We are centrally located between Owings Mills, Randallstown, Glen Burnie, Catonsville, Eldersburg, Westminster, Hampstead and Pikesville. Click our interactive map (see right) to get more information. Contact us for an estimate on any transmission service request. Proud Memberships: National Federation of Independent Business, R-OM-G Chamber of Commerce. Recognitions: We Sponsor Various Community Events & Organizations with a Focus on Our Community's Youth.